Highly recommend ThoughtsToPaper company, they are very professionals and they work exceed the expectations, I am so happy to contact with them ..
Special thanks to Jay Chiao ,Tim Bright ,and Kamal Anand. Since 2015, we have been communicating with the bright minds at Thoughts to Paper. Those whom understand their assignment, moreover, how important it is to take transcribed content and condense it into logical arguments with the utmost clarity & efficiency. Over the years, we have developed an effective, interconnected working relationship between the various departments, moving towards achieving the approval of several patents & associated matters. With the prudent engineering, legal and marketing support that Thoughts to Paper has provided we have successfully progressed towards our objectives, through a series of integral milestones. We are satisfied with the services provided & hope to continue working together, solidifying ideas for years to come. The team is there to help and assist in every way I needed to proceed with my patent application. Staff accepts comments and adjustments to the inventors concept and ideas to enhance the inventor's imagination. I used Thoughts to Paper for a non-provisional patent a few years ago and it was a great experience. They prepared the patent and it was approved by the patent office. Everything about the process was professionally executed. I will be hiring them for another patent soon. Having never done this before, I had no idea what to expect when trying to file for a Patent. When I first reached out to Thoughts to Paper, to find out more about the services they perform, I did not need to reach out to another company. I was convinced after the initial call, I needed to look no further. Working with them has been one of the best and easiest experience's in my 30 plus years of professional life. The thoroughness and the attention to detail is unsurpassed. To say the least, they captured the full essence of my invention and put my ideas to paper. Would I use them again? Absolutely! Thank you again Thoughts to Paper!!! Kevin Zelaya was very professional, engaged and followed up every step of the way. The process was fast and easy with multiple opportunities for review, which was great. Every person I have dealt with at Thoughts to Paper, treated me with kindness and professional respect. They were timely on every step of the process trough three patents.Thoughts To Paper also saved me so much on the cost compared to every other company I contacted. I would highly recommend this company to anyone. However, when I couldn't open and share their files, I simply had to update my Adobe reader to open the files and the amazing cad design drawings they did for me that were included in my amazingly low cost. The Thoughts To Paper team have done a great job on the provisional patent for my invention, reasonable fees, friendly, and timely. I hope to use them again in the near future. Very thorough, walked me through the whole process and did an excellent job. They made the whole process easier and saved a lot of time and money. Megan Huan was very polite. Also very calming. Explained the process well. Processing was quick. Very helpful. And very understanding. From beginning to end this company was on point!! When I was uncertain all I had to do was email or call them. Everything was explained in a manner that I could understand. They never made me feel dumb or out of my zone. I truly enjoyed working with them. We liked working with Thoughts to Paper. Design Patent was issued on a complex design. I appreciate the research and guidance. I'm very happy working with Thoughts to paper and Jay Chiao, our representative. He is so fast in responding emails and highly professional. Well done. I will use these guys again. This was the second time i used them. Attentive. Thorough. Considerate and patient. I enjoyed working with TTP. So happy with this firm. Professionalism is an understatement. Not much more I can say. I am impressed.Keep up the great work!! The groupat thought to paper communication to client is great. Jay is particularly a great problem solver.if a client has trouble,he stept in to resolve it and find workable solution. The thought to paper group are optimistic and determined to work hard until the job is done. I will recommend thought to paper highly to others. 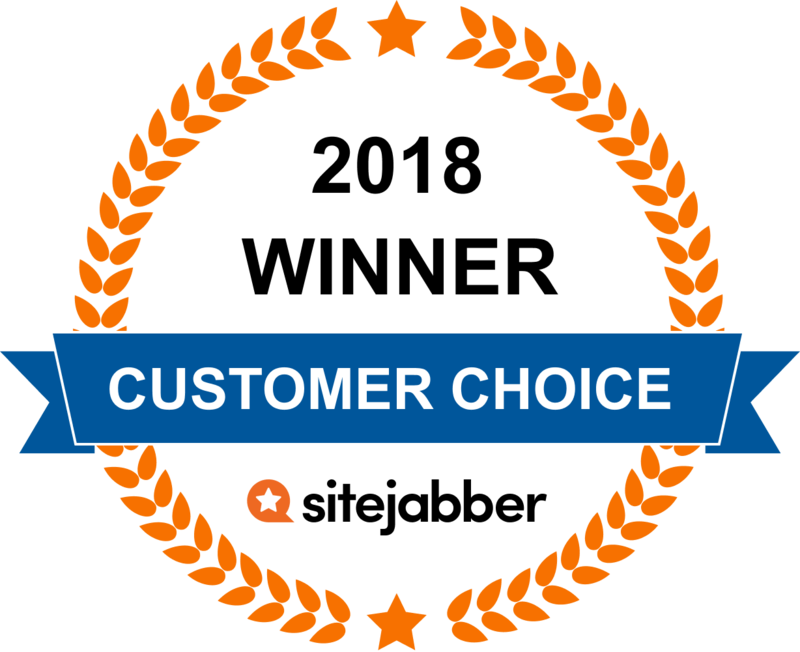 Alex C.
The TtP guys were universally polite, patient and professional - and very responsive. So far, a great experience. ThoughtsToPaper re-filed my Patent Pending several years in a row without batting an eye. Last year, they said to be able to re-file you have to make significant changes to your product. If that's true, why did they re-file the first couple of years without mentioning this? They DID charge me to re-file but I never heard a word back about whether it was accepted or denied. They dropped the ball several times and they also tried to get me to renew several months early "by mistake". Daniel, if we were all about the money, we would simply not mention if there was something needed to be done to re-file. If based on our review, re-filing is not appropriate, we would let you know or give you some options. If we did charge you and the application was not filed, rest assured we will simply refund you immediately. We are here live by phone and chat Monday-Friday, you can easily call any time to check on your application. Give us a call and we can look into your specific case and resolve any concerns promptly. If your questions are not answered, please escalate it and we will find the right person to get the answer for you. I'd like to say thoughts to paper was a excellent decision on my end they are patient, easy going and prompt. Thank you so much for helping my dreams come true. Bryan, we are a patent firm and we work on patent applications. We do not engage in working with your vendors, that is something you would have to do on your own. CAD files must be opened in CAD software. If you don't have CAD software, you can't open up a CAD file. There is no way around that. I apologize if your experience with us was not in line with all the other positive reviews we have. I will send you an email and see if there is anything I can do to assist further. I've used Thoughts to Paper for years. I have an excellent representative and the company has always taken care of me. Hi, I have an idea for a new product but so far all I have is the idea itself and haven't figured out how to make the actual product, can I apply for a provisional patent for the idea ? Roberto, yes, you could file a provisional application first and get 12 months to figure more details out. However, keep in mind that the provisional application can only protect what you include in the application, the information you have already figured out. For example, if you only have a basic idea and the details are unknown, you could file the provisional application for just the idea without the details yet. However, those details would not be protected in the application because they are not disclosed in the application. Put more simply, you can only protect what you know and put into the provisional application. What this means is, lets say you file the provisional application then 2 months later you figure out some critical details of your invention. You must be careful about disclosing those details you figured out 2 months after filing the provisional application. Because those details were not included in the provisional application, they are not protected yet. We would add those details when you convert the provisional application into a non-provisional application and only then, would those details be protected. We offer a professional level service for the provisional patent application which allows you to chat with one of our engineers. We can help you figure out a bit more detail than you may have so that you file a provisional application with as much detail as we can figure out at this time. This ensures that your provisional application covers as much as we can. Any additional details you figure out later, well put it into the non-provisional patent application when you decide to file that application, prior to the expiration of your provisional application. Hope that helps! Give us a ring during normal business hours and well be happy to help! I have an Idea for a power tool company, if I have a per application can I pitch it to the company without them stealing the idea? You should apply for a patent application first. This secures your place in line with the US Patent Office so you can tell the company you pitch to that your product is "patent pending". This way, if that company steals your idea and files a patent of their own, they will be second in line after you, since you applied for the patent application first. A provisional patent application only lasts for 12 months though, and it must be converted to a non-provisional patent app before the 12 month expires, to keep the protection. However, this route of the provisional patent app, at least gives you 12 months to test the waters before you need to decide to commit to a full more expensive non-provisional app. Give us a call during normal business hours and we'll be happy to answer any further questions or get you started. Does thoughts to paper also assist with creating a sales sheet ? We have a business consultant that could do this, after you have your proper patent applications filed. Once you have your patent application filed, or if you already have one, send us an email and ask to get a quote on having us prepare a sales sheet for you. One of our team members will direct you to the right person who can review this and give a quote. ?Extent of services rendered: If the "project" is kicked back by uspo for technical issues to correct or explain, Will you continue services? If a patent application is kicked back by USPTO, we call receiving an "office action", we can respond back to try and overcome the USPTO's objection. It will generally involve additional fees. What we need to do depends on what type of office action is received. If the USPTO cites some similar inventions, we need to argue back the differences between your invention and the cited similar inventions. If the USPTO wants some language updated, we can see the best route to take. If the original patent app was not filed by us, you'll need to send us a copy of the USPTO letter along with the original patent application filed for us to study it. Does Thoughts to Paper sign a nondisclosure /confidentiality agreement with the client prior to submitting their ideas? Yes, we can, give us a call and provide us your email address so we can send this over to you. I already have my thoughts on papers and the uniqueness, although there are others, but not like my idea. Need to know if it's patentable. You could start with a patent search to get a better idea of how patentable your invention may be if you decide to file a patent app, and it may also help you think of ways to make your invention more unique before applying for a patent app. Let us know when you're ready to start. We're here live Monday-Friday. Visit our website and chat with us or call us. A provisional patent can "protect" your idea in the sense that it saves the date with the patent office, until you file the non-provisional patent application. The key is that you must file the non-provisional before the provisional expires for the provisional to continue to "protect" you. Read over this in depth article on how it works: https://www.thoughtstopaper.com/blog/understanding-provisional-patent-applications/ Then, if any further questions, give us a ring. We're happy to chat! I have an idea for a great app and right now it's just the idea that I have. Where do I go next? Give us a call and we'll be happy to tell you about our process. We're here Monday-Friday 10AM-7PM Eastern Time, 800-919-2493. If you can explain it well to us so we have an idea of what it will look like, we can draw up a concept drawing for you to be included in a patent application. Give us a call to get acquainted, then email us your details and we can get started. Questions? Get answers from the Thoughts to Paper staff and other customers. Patent applications, patent searches, business plans, and other consulting services for individual and small business inventors and startups.